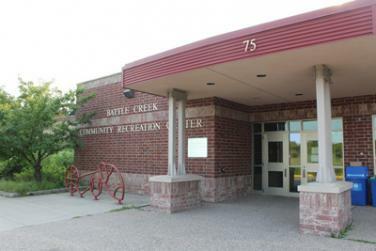 Battle Creek Recreation Center offers educational programs, after school activities, open gym, tot-times, family events, fitness center memberships, seasonal ice skating, athletics, S'more Fun childcare, field rentals, rental space for parties, meetings, and events, and so much more. Click the activity numbers to register for Battle Creek Recreation Center activities online, or call (651) 501-6347. For all citywide programing, view the seasonal Parks & Recreation Activity Brochure. For field reservations or to reserve space at this facility, call (651) 501-6347. Cross country skis and boots are available to rent for $12/child or $15/adult at Battle Creek Recreation Center. Ski trails are maintained by Ramsey County. A Minnesota State Ski Pass is required to ski on Battle Creek Regional Park trails for skiers age 16 and above. Snowshoes are available to rent for $5/pair. Snowshoeing is not permitted on groomed ski tracks. Learn more about Battle Creek Recreation Center's S'more Fun childcare program. Subscribe to Battle Creek Recreation Center email updates. Follow Battle Creek Recreation Center on Facebook. If you have any questions, programming ideas, or suggestions please contact Bonnie Stokes at bonnie.stokes@ci.stpaul.mn.us or 651-248-0713.